Hitting .298 on the year with 15 homers and 45 RBI through 59 games for Clemson (45-14, 22-8), Logan Davidson has had a significant impact on a Tigers’ ball club which will be hosting their first game of the NCAA Tournament against Morehead State on Friday. Having won 19 out of their last 22 games, Davidson explains the team has adopted a simplified mindset that has led to their success in the second half of the season. Davidson feels like the toughness of the conference schedule has helped the Tigers prepare for this part of the season, and puts them at an advantage. Davidson’s father, Mark, a former Clemson Tiger player, and current student assistant coach for the Tigers program, has supported Logan through the ups and downs of baseball. Logan says his dad’s teachings and wisdom have helped him navigate through the triumphs and mistakes. Taught to be a switch hitter by his father, Davidson soon learned that it could be an asset for him long term. As for the next step out of high school, Davidson said that choosing Clemson was an easy decision. What’s it like being an elite athlete at a big ACC school like Clemson? Entering his freshman year, Davidson was fortunate to have an excellent role model in Seth Beer, who he could look to as an example. A former North Carolina Gatorade Player of the Year in his senior season, Davidson spoke on the learning curve that comes with the transition from high school to college. 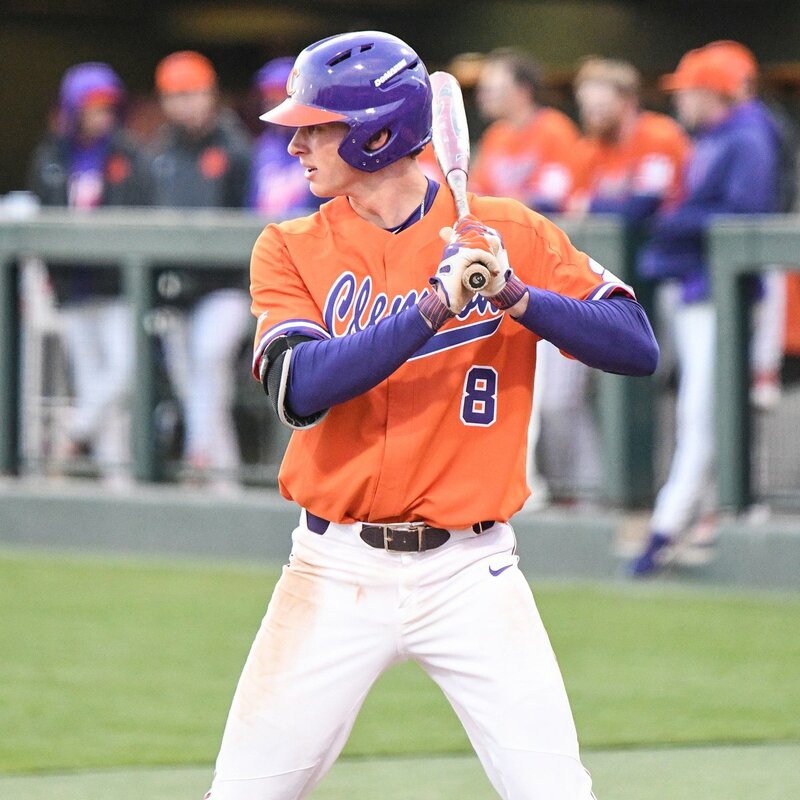 Following his freshman season, Davidson elected to head to Falmouth, Massachusetts to play in the highly renown Cape Cod League, a place where high level college baseball players hone their craft, but it wasn’t an easy adjustment for the Clemson shortstop. Having received much criticism for the way that he played defensively in his freshman year, Davidson worked hard to make the changes to improve that part of his game while on the Cape. Possibly the hardest part of playing in the Cape League is the experience that it offers. Davidson has dealt with that adversity well this year and is currently the #1 prospect in the ACC for the 2019 MLB Draft by Perfect Game, but he says the possibility of getting drafted a bit over a year from now is the last thing on his mind.